Get Custom modules for your CWP. Get Managed Support for your servers. How to add this module to CentOS-WebPanel menu? It’s easy. Go to include folder and make new file named 3rdparty.php .Through file, you add links one per line. 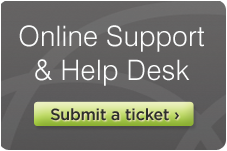 Contact our NOC partners and get CWP along with managed support! Prior to installing CWP on your server, check our demo servers. DDoS attack protection via proxy Click here for more info. The Best & Cheap VPS servers with Full DDoS Protection. Click here for more info. Get your server secured today, don't allow to get hacked.